Project Vesta experimental fire 4H, 27/2/98, Dee Vee Rd, WA. Spot fire developing ahead of main fire front. 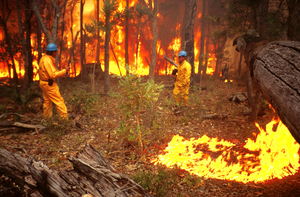 Fire researchers record behaviour of the main fire.